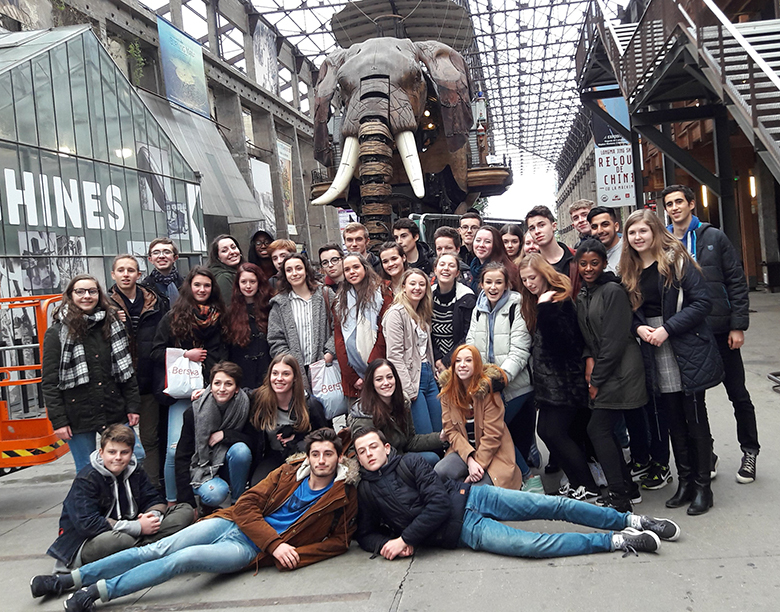 A level French students from The Sixth Form College, Solihull soaked up French culture and fashion last week with an exchange trip to Cholet in the Loire valley. A group of both first and second year A level students participated in the week-long exchange with our French partner school, the Lycée Renaudeau. The students stayed with a French person of the same age and so had plenty of opportunity to speak French. They also went into the school with their French counterparts to see lessons taking place. As well as visiting the school, there were lots of visits to places of interest, including the towns of Angers and Nantes, plus a visit to the Town Hall to meet the Mayor. Students also completed a quiz in Cholet, which necessitated them speaking to locals to find out the answers. A particular highlight of the week was a visit to the Fashion School (part of the Lycée Renaudeau), where our students worked with university students studying fashion in order to create a unique design, modelled on a mannequin. Exchange trips are also organised for A level German students with our partner school in Frankfurt. There are also opportunities to complete work experience abroad in our French, German and Spanish courses. Modern Foreign Language students can also apply for a bursary, awarded annually, called the Roger Coombs Award, which sees a sum of £500 awarded to students to help fund travel abroad to improve their spoken French/Russian. This legacy commemorates the work and memory of Roger Coombs, who taught French and Russian in the College’s Modern Foreign Languages department until 1982.